Buffalo Bills Football. 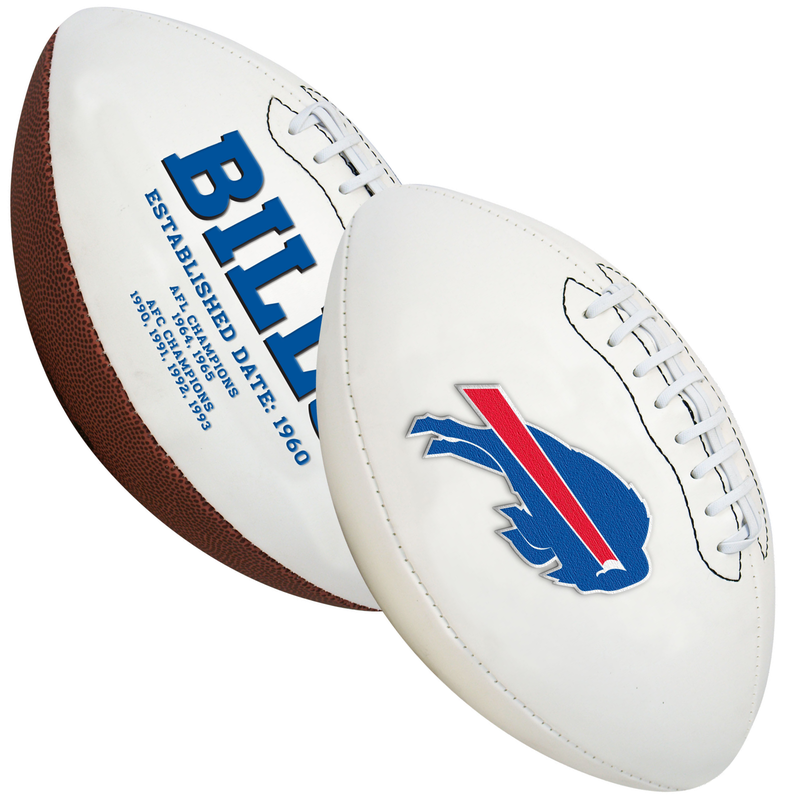 This classic team football features an embroidered team logo prominently displayed on the front. This NFL football has the team championship history listed on the back. Balls come bagged and deflated for easy autograph, and the 3 smooth white panels provide ample autograph signing space.